This unique boxed gift set was put together with you or your friend in mind. 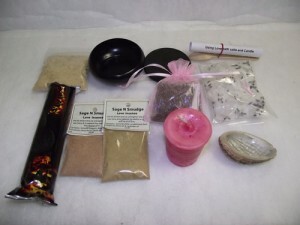 Love is in the air, so use everything in your power and this great kit to help. This kit has specific items that have been gathered together for optimum subtle enchantment. As per requirements, this is sold as a curiosity only and no results are stated nor guaranteed.